The London Wine Fair, being held June 2-4, will see some significant changes this year. Now in its 34th year, the 2014 show is returning to Kensington Olympia, its home before it moved to ExCeL in London’s Docklands in 2001. 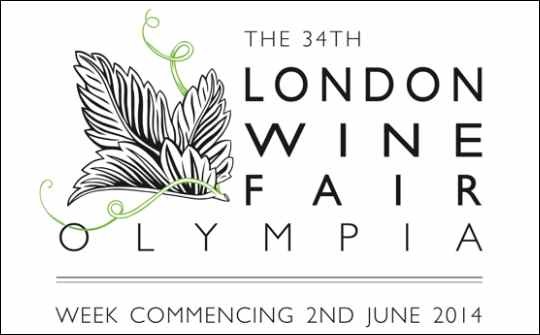 The changes will see the show – previously called the London International Wine Fair – go back to its roots as the London Wine Fair, the national wine event for the world’s leading import market. The spirits area called Distil is being dropped in favour of new standalone features including a dedicated area for bulk wine and one for smaller, boutique wineries, called Esoterica. Craft beers will also feature at the London Wine Fair for the first time, within a section called The Brewhouse. Service providers to the drinks industry, such as packaging suppliers, will also have a their own space in a well frequented area between the two halls. With increasingly tough economic trading conditions, the issue of cost has been high on the list of exhibitor concerns and the show organiser, Brintex, has bitten the bullet and taken a brave new approach, which includes a significant drop in price for stand space and, to help make the show a more level playing field, a restriction on stand size and height. This tactic has successfully attracted back over 20 companies as well as countries that had dropped out in recent years and the re-focussed 2014 show will now comprise many more exhibitors (approximately 18%) and features than in 2013, according to event director Ross Carter. Visitor unumbers are also expected to be higher with preregistrations 15% up on this time last year. One of the new features, Esoterica, is a show within the show that will be exclusively for smaller independent importers or agents who hold UK stock. This table-top tasting on the balcony of the National Hall aims to provide an affordable way for boutique-style companies to show for the first time. The dedicated beer section, Brewhouse, will also be a table top tasting dedicated to small batch, specialist and craft beers. This comes on the back of a successful pop up international beer competition tasting at the 2013 fair, which attracted large numbers of visitors and reflects the burgeoning interest in craft beer from the independent and on-trade sectors as well as the multiple grocers. Brewhouse will be curated by beer writer Sophie Atherton, the current holder of Parliament's Beer Sommelier of the Year award, who will also present a series of themed tastings in the area. Tables will cost £450 for the three days, with brewers able to show their full range of beers. To date, the following breweries have registered to exhibit: Harbour Brewing; Harviestoun; Batemans; Liberty Beer; Fordham & Dominion American Craft Beers; Meantime; Portobello, Freedom Brewery; and Williams Brothers Brewery. Other improvements announced by the show organiser include three deli stands to improve the catering offer. These will be matching food to the wines. A free wifi service is also available and, of course, a free Riedel tasting glass for every visitor. 16:30 - 17:00 Gallery Theatre – Mark Lansley: With changing world interest and exchange rates, what is the future of packing in the UK? Over the last 10 years the pound has weakened, interest rates have dropped to record lows and the UK wine packing sector has doubled in size. But is a reversal of these trends now occurring? What might be the effects of such a reversal? And what might this mean to Wine Bottlers, Retailers and Consumers? 12:30 - 13:00 Speakers' Corner – Everything Starts with One Good Idea: an Exploration of Innovation Marketing on Low Budgets. With wine marketing budgets at an all-time low, Abigail Barlow will discuss great marketing innovation that didn't break the bank and still managed to create a stir. 10:00 - 10:30 Gallery Theatre – Introducing New Cork Technology presented by David Taylor and Justin Howard-Sneyd MW. Cork is the wine closure of choice for 60% of the world's wine producers because its elasticity and permeable qualities make it ideal for wines. Hitherto cork issues such as taints, bottle variation, premature oxidation and reduction, have been an issue, but CorkGuard overcomes these concerns. This brief session introduces and explains this new technology, which could change the fortunes of the cork industry. 12:15 - 13:15 Industry Briefings – How one of the world’s oldest demarcated wine regions adapts to the modern world by Paul Symington. What changes are necessary in the uniquely beautiful Douro valley, UNESCO World Heritage - where an entire population and its social fabric depends almost exclusively on wine, to make it compatible with the modern retail environment? 13:30 - 14:00 Speakers' Corner – Jeremy Anderson presents: Why Mobile First Thinking is Now Essential. He will explore the opportunities offered by mobile and tactics to take advantage of the rapidly growing mobile world. Finally, The Benevolent; The Drinks Industry Charity has joined forces with the London Wine Fair organisers to host The Roof Gardens Benevolent Party to celebrate the end of the 2014 show, as well as raising vital funds for the trade charity. The party will kick off after the last day of the Fair, on Wednesday, June 4 and will take place at the Kensington Roof Gardens from 7pm to 1am.